Ads will be posted at my discretion location-wise. They will be placed so that they are likely to receive exposure, while not "taking over" the web site. Viewers are likely to notice the ads are there, but will not be forced to view them to get to web site content. Ad locations are not reserved for a particular ad, but are rotated among any other advertisers in a random fashion. I will likely also place the ad on the page that concerns the product in question (example: ads for cabinet plans will go on the cabinet plans page/section). Loading time is a consideration, so ads cannot be unreasonably big. Final discretion on what is/isn't unreasonably big is mine. I'm not terribly interested in money for ads (Ok, that's a lie. For the right price I can be bought. But this isn't about money). I am willing to trade ad space for a copy of your product. The product should be in finished or near-finished status, i.e. not a beta test, and will not be returned. I'm thrilled to *be* a beta tester if you're looking, but that's a different situation. Due to the costs hosting this web site, I will also accept payment for ad space. Pricing to be determined on a case by case basis. A monetary value should be declared and agreed upon for the product. Based on that, an agreed amount of time for the ad to "air" will be reached, up to a maximum of a year. If I take down the ad or the FAQ before the time is up, a pro-rated amount of money will be refunded or the product returned based on the time remaining for the ad. I reserve the right to screen the ad for content and appropriateness. Ad should be hosted on my site. The site's traffic continues to grow. Current stats as of 05/07/2004 for the main site are here. Note that the data for March was corrupted and shouldn't be considered, and that the data for May is only through the first week of May. The stats for the message forums are here. Sometime in late February the log counters for the message forums also corrupted, so the data for February is incomplete (2/25/04) and no additional data is shown. A live snapshot of additional message forum statistics can be seen here. 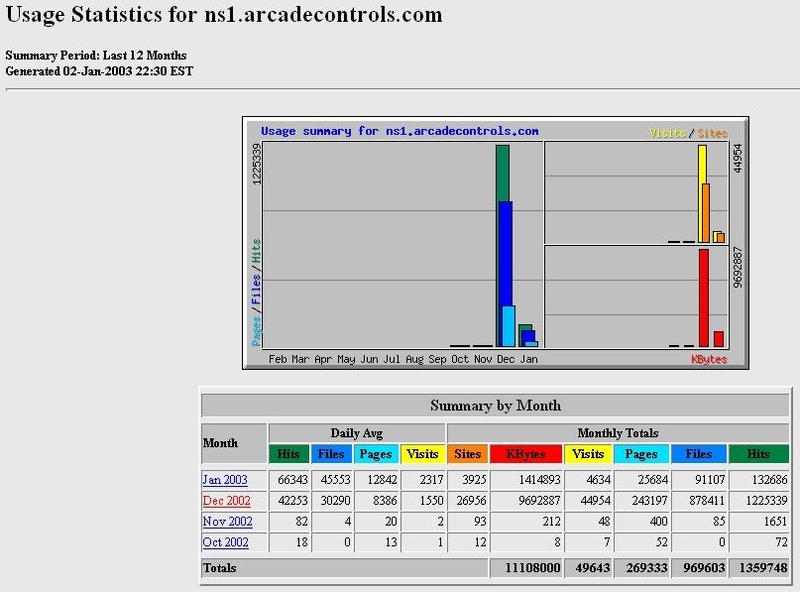 You can see compared to the older data maintained below that traffic on the main web site has risen considerably, with an average of 3300 daily visitors, totalling approximately 50,000 to 55,000 unique visitors monthly. The message forums receive an average of around 2000 visitors daily, totalling approximately 23,000 unique visitors monthly. The site has grown considerably. Recent stats for the main site (not including message board traffic) are here. Recent stats for the message board are here. As of December 2002, we're averaging 1550 daily visits, roughly 45,000 a month to the main site -- 764 daily visits, roughly 23,000 a month to the message boards. To see how we've grown, I've left the following paragraph with outdated data. Sample statistics for a period of time in March/April 2001 are available online. demographics from a year earlier are available online as well. The gist is this: We currently receive an average of 7000+ hits a week (approx. 1000 a day), up from 2100 hits a week (305 hits per day) a year ago, on the main page. Not a huge amount, but you can see the # of visitors is climbing steadily. Being a special-interest site, those visitors are hopefully somewhere near 100% of your target market. Two years ago we were getting around 150-200 hits a day. Hopefully the upwards trend will continue, however I intend to remain a niche web site. That is, I won't be spam advertising just to get hits that aren't from people who are interested in the hobby. I will be attempting publicity for the FAQ targeted towards retro- gaming people. People who visit my site will hopefully be there because they are interested. I'll do my best to make sure you and I are both happy, but this is just a hobby, not a business to me. It has become an extremely successful hobby, spawning a book and a mention on CNN Headline News, but it is still just a hobby. Please bear that in mind before proceeding with obtaining ad space. I will be putting a disclaimer near any ads stating that this is an ad, and not an endorsement. This is to distinguish the ads from editorial content on the FAQ. The disclaimer will be small but visible. Any arrangement for advertising will have zero affect on editorial content of the FAQ. If you take a look around the FAQ, you can see that the FAQ is mostly on a positive tone, but I reserve the right to call it as I see it, including negative reviews. There is no guarantee of uptime of the FAQ or # of hits, but of course if the FAQ is down then I will be making every effort to bring it back online. 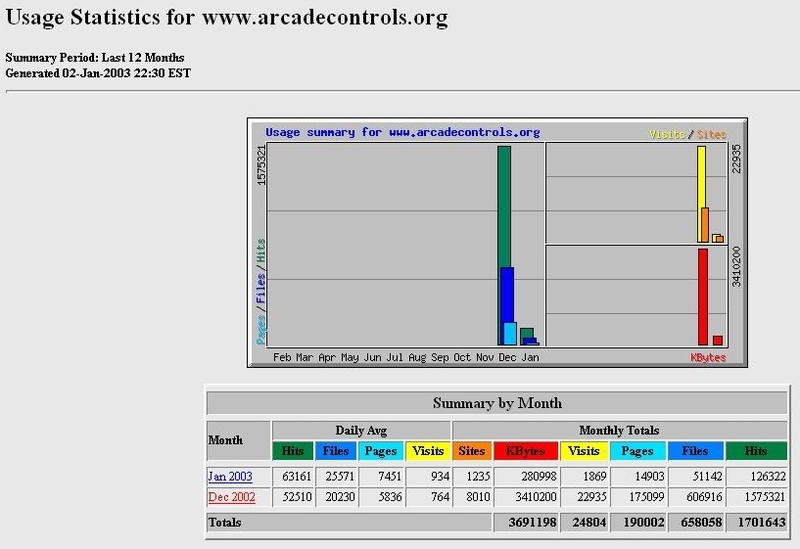 Please note that links to your site, news items, and things of interest to the arcade control folks are and will continue to be freely posted. If you have something people might be interested in, and send it to me, I'll probably report it. I reserve the right to alter any of the above up to the point at which an agreement is reached, at which time I will of course honor the agreement as specified.